We’ve been seeing an interesting phenomenon during the past few weeks. We’ve been hearing from prospective clients who have been doing a lot of SEO lead generation – or in some cases who are SEO companies themselves – who are reaching out to us for help with lead generation because recent Google updates have caused them to miss out on substantial numbers of sales leads. More people are telling us that recent changes to the Google algorithm have made SEO more unreliable. Companies never know where they are going to rank in the Google search results from one week to the next, so they are looking for help to find a more reliable and dependable way of doing lead generation. With all of the various changes constantly being made behind the scenes to the complex “rules” of which sites get rewarded in the search rankings, is it possible that SEO lead generation is becoming too unpredictable and inconsistent? After all, you can’t win a game when the rules keep changing. We believe that SEO lead generation is not going to go the way of the dodo anytime soon – but these recent conversations we’re hearing from other people in the SEO field are a useful reminder that companies shouldn’t rely too heavily on any one method of lead generation. Similar to “diversifying your portfolio” of investments to save for retirement, every company needs to have a diversified portfolio of lead generation activities. Find the companies you want to target, and go after them. This is one of the more “traditional” tactics in lead generation, but it still works – especially for B2B sales where the target market is often specialized and limited to certain companies or narrow industry verticals. Instead of relying on Google search results for prospects to find your company, spend some time and resources doing more research to identify which types of prospects are the ideal fit for what you sell. The best B2B sales prospects aren’t always searching for solutions providers and vendors – but they might be happy to hear from you if you approach them with a proactive message about how you can help solve their problems. Get more social. 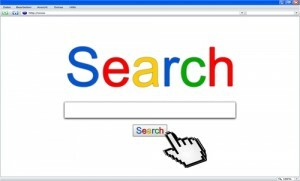 As the search engines have gotten more competitive, with more companies trying to get their sites ranked higher in the search results, more people have gotten fed up with search engines (which are often cluttered with irrelevant results) and have turned to their social networks instead. The lesson for marketers: devote more time and resources to building up an audience on social media that trusts you and listens to you, rather than try to compete with all the clutter and noise on the search engines. Create warmer “cold calls.” Cold calls are one of the oldest tools in the sales person’s toolbox – but they still work, because they actually put sales people on the phone with the decision makers who matter. But B2B sales organizations should do more to “warm up” their cold calls by getting better-qualified sales leads. By devoting some time and resources to finding prospects who are a great fit for what you sell, tracking down the best people to contact at each prospect company, and finding out as much as possible about the prospect’s business needs before even picking up the phone, you can create warmer cold calls that will lead to better sales results. Many sales professionals used to think that “cold calling is dead” because of all the great new digital marketing tools. But instead of “cold calling,” think of it as “warm calling.” Instead of making massive numbers of “cold calls” to lists of people who you don’t know anything about and who don’t want to hear from you, we can use these great digital tools to do better research, identify the prospect, target the right people – and then have your sales people make a “warm call” to get on the phone with the person they need to reach. SEO lead generation is not “dead” yet – but it has gotten more unreliable for many companies that are struggling to keep up with the constantly changing rules of the search engine game. 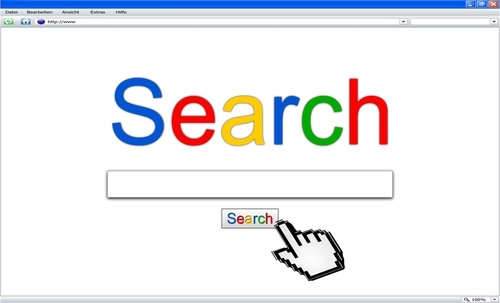 Many B2B sales organizations would do well to avoid relying too heavily on SEO. Instead of leaving yourself vulnerable to sudden changes in the rules of the search engine rankings, be proactive about building a solid foundation of a “diversified portfolio” of lead generation tactics – with both inbound and outbound lead generation activities. SEO can still be a great answer for your company’s lead generation needs – but it doesn’t have to be the only answer. Keep building your company’s audience on social media. Keep reaching out to customers directly via e-mail and direct mail. Keep making smarter cold calls with better-qualified sales leads. There are many other ways that B2B sales companies can target the prospects that matter most to you, in a more consistent and proactive manner.